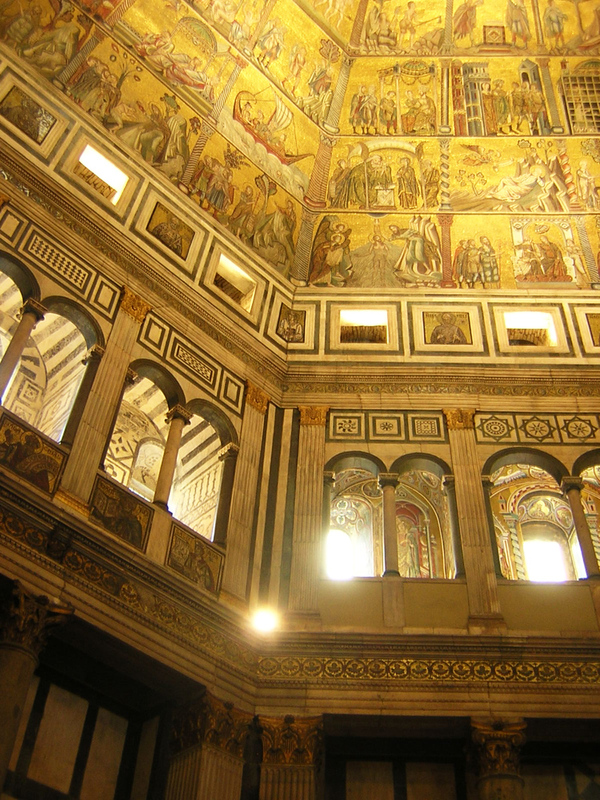 I have taught courses on the Renaissance and Reformation, on Intellectual History and the Craft of History Writing. During my graduate career at Harvard, I taught sections in general surveys of Western Civilization, in specialized courses on ancient, medieval, early modern and modern intellectual history, in a course on the Italian Renaissance, and in the History Department’s tutorial program. My research interests include Renaissance Neoplatonism and Neostoicism, history of atheism, skepticism and freethought, history of atomism, history of the scientific method, history of the book and printing, history of republicanism and history of epistemology and moral philosophy. I am also interested in more general examination of how improvements in information technology accelerate historical changes. 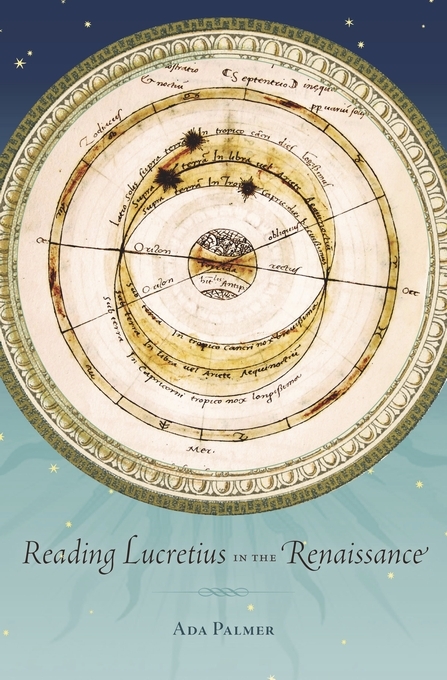 My first monograph, entitled Reading Lucretius in the Renaissance (Harvard University Press Renaissance Studies Series) is based on my work on marginalia and paratexts in surviving manuscript and print copies of Lucretius from the fifteenth and sixteenth centuries. You can read a review of it in The Bryn Mawr Classical Review. A selection from this project was published as an article entitled “Reading Lucretius in the Renaissance,” in The Journal of the History of Ideas, vol. 73 issue 3 (July 2012), pp. 395-416. The article received the 2012 I Tatti Prize for Best Essay by a Junior Scholar. I am currently engaged in two new projects. One treats Renaissance Biographies of Classical Philosophers, examining how humanists imagined the ancient world and projected their social and moral ideals backward onto the classical sages who were their idealized (and often half imaginary) role models. The second is a project in the long history of philosophical skepticism, focusing on the origins of “provisional belief” and the scientific method, especially its connections to moral philosophy. I am on the steering committee of the University of Chicago Classics Department’s new Ph.D. 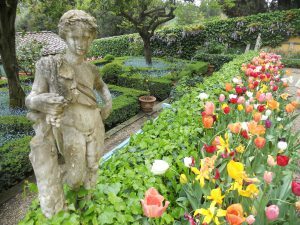 Program in Transformations of the Classical Tradition, a new program to train scholars to work on post-classical Greek and Latin and the reception and transformation of classical culture after antiquity. Students in the program are encouraged to pursue dual degrees in Classics and another department, History for students working with me, while for others it may be Art History, the Committee on Social Thought, Comparative Literature, Germanic Studies, Philosophy, Political Science, Romance Languages & Literatures, the Divinity School, any area of scholarship where the re-use and transformation of materials from antiquity plays a great role, from adaptations of Roman Law to Shakespeare’s comedies. I am also one of the co-developers of the Texas A&M University Classical Transformations Group, a cluster of faculty working on similar work on the languages and cultures of ancient Greece and Rome in the Middle Ages and Renaissance, and associated with the ‘Transformationen der Antike’ (Transformations of Antiquity) research group at the Humboldt-Universität zu Berlin. I still work actively with the group even now that I am at the University of Chicago. “The Use and Defense of the Classical Canon in Pomponio Leto’s Biography of Lucretius,” in Vitae Pomponianae, Biografie di Autori Antichi nell’Umanesimo Romano (Lives of Classical Writers in Fifteenth-Century Roman Humanism), proceedings of a conference hosted by the Danish Academy in Rome and the American Academy in Rome, April 24th 2013, Renaessanceforum (Forum for Renaissance Studies, Universities of Aarhaus & Copenhagen; Read online). 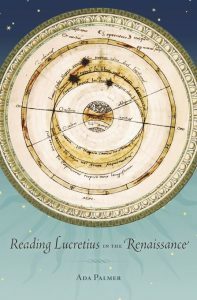 Reading Lucretius in the Renaissance. Cambridge MA: Harvard University Press, I Tatti Renaissance Studies Series. 2014. “The Recovery of Stoicism in the Renaissance,” in The Routledge Handbook to the Stoic Tradition, ed. John Sellars. Forthcoming, January 2016. “The Active and Monastic Life in Humanist Biographies of Pythagoras,” in Pythagorean Knowledge from the Ancient to the Modern World: Askēsis –Religion – Science, ed. Almut-Barbara Renger and Alessandro Stavru, Harrassowitz Verlag. Forthcoming. “Epicureanism,” in Encyclopedia of Renaissance Philosophy, Springer Reference. Forthcoming. “The Inversion of Epicureanism in Lorenzo Valla’s De Voluptate,” at Beyond Reception: Renaissance Humanism and the Transformation of Classical Antiquity (Berlin), March 23, 2015. “The Influence of Spuria and Forgeries on Renaissance Neoclassicism: The Recovery of the Stoics, 1400–1664,” at the Renaissance Society of America Conference (Berlin), March 28, 2015. “The Moral Physics of Dante’s Cosmos” and “The Syncretic, Radical and Hybrid Christianities of Renaissance Humanists,” guest lectures for the Figures of Renaissance Reform and Renewal non-credit course, Lumen Christi institute, Chicago, Feb. 24th & March 3rd, 2015. 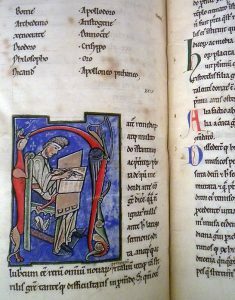 “How Humanists Read a Famous Atheist: the Evolution of Renaissance Reading Methods Exposed through a Survey of Marginalia in Renaissance Copies of Lucretius, 1417-1600,” Classics Department Colloquium, University of Pennsylvania (Philadelphia), Feb. 12th 2015. “Hands-on Rare Books Icebreaker Session, an opportunity to touch and get used to working with antique books and manuscripts.” Early Modern Workshop, University of Chicago, Feb. 9th 2015. “Lucretius, Renaissance Reading Culture and the Epicurean Roots of the Scientific Method,” colloquium presentation at the Descartes Centre for the History and Philosophy of the Sciences and the Humanities, Utrecht University, Feb. 2nd 2015. “How Forgeries and Spuria Still Shape Our Modern Classical Canon, Examined Through the Renaissance Revival and Early Print History of Classical (and not-so-Classical) Stoicism,” Weissbourd Text Seminar, Society of Fellows in the Liberal Arts at the University of Chicago, November 12th, 2014. “The Transformation of Stoicism in the Renaissance,” at Renaissance and Early Modern Transformations of Antiquity. Humboldt-Universität zu Berlin, December 2nd 2014. “The Vernacular Lucretius,” in a panel on The Epicurean Renaissance, presented at the Sixteenth Century Society Conference, New Orleans, October 16th 2014. “Weak Empiricism and Provisional Belief: the influence of Lucretius and Epicurean Skepticism on Montaigne, Gassendi, Mersenne, and Scientific Thought,” presented at the Renaissance Society of America Conference, New York, March 27th 2014. Transformations in the Classical Tradition Ph.D.